Mr. Miscavige had a vision and created a strategy to create and establish a central dissemination facility for the Church of Scientology and everything required by Church organizations around the world. 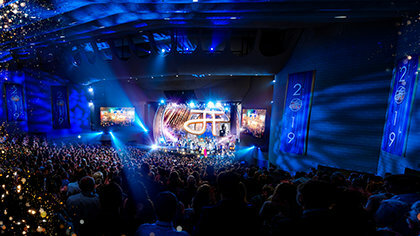 Everything from our highest level Churches, all the way down to individual parishioners and practitioners of Scientology out in their community. And also a central hub to provide all materials for all of our global humanitarian campaigns. Everything from our Youth for Human Rights campaign to our anti-drug campaign and everything else that we sponsor and support. When we started this and when Mr. Miscavige first set this vision and strategy, we were bluntly told by many professionals in the field that we were destined to fail. 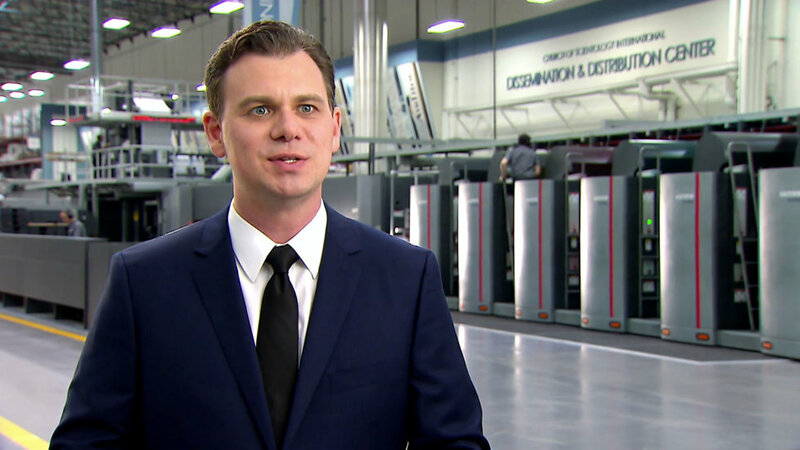 That there was just absolutely no way that from our level of knowledge, from the personnel that were available to us inside the Church and, you know, what the requirements were to establish a printing facility, that it was possible. It was just, bluntly, “You’re going to fail.” And that was even from some of the people we had worked with closely for several years. But through his direction, through, you know, the research that we did and through the application of Mr. Hubbard’s technologies, primarily his technologies on organizing and on Study Technology, we were able to put a facility here that’s, that’s really unprecedented anywhere else in the world. We’re able to provide materials to a small Scientology community at, you know, some—in a Third World country, or provide 20,000, 50,000, 100,000 books in any major language, to the European markets, to the American markets, and all over the world. So that capability never existed, was never conceived of before Mr. Miscavige had this strategic plan and direction over the last decade. 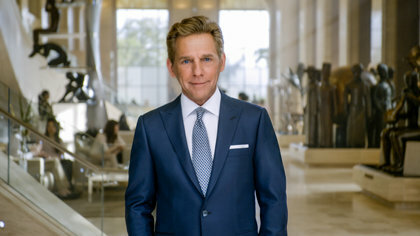 So I would say that in addition to being one of the most driven and purposeful individuals around, that Mr. Miscavige is a uniquely caring individual. He will come through, he will talk to all of the staff, he knows them by name, he will ask them how they’re doing, he will ask them about their families, he will, you know, he will ask, he’s asked me, you know, he’s a very caring person. And I would say, you know, here’s an interesting, you know, here’s an example. Mr. Miscavige one time, when we went to the Grand Opening of the Church of Scientology in Sacramento—I’m from Sacramento and Mr. Miscavige knew that I was from Sacramento, and he asked if my parents were in attendance at the Grand Opening and spent ten, fifteen minutes speaking with them. You know, he sought them out, he wanted to find out how they were doing. He, you know, he congratulated them on raising a good kid, you know. As funny as that is, I would say it shows a unique example of how caring Mr. Miscavige is as a top-level leader and visionary and yet uniquely confrontable, approachable and caring as an individual person.